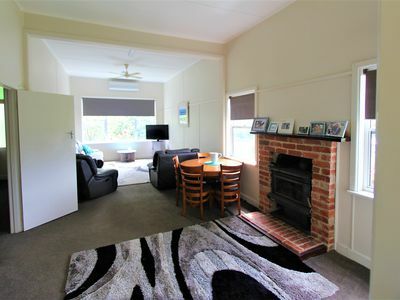 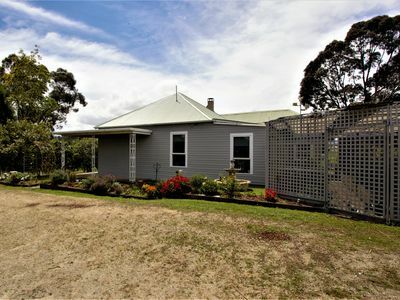 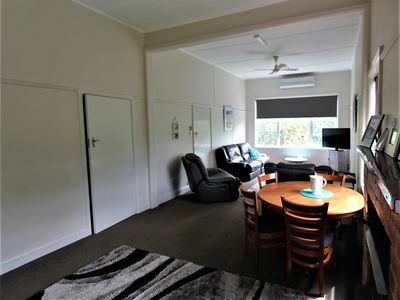 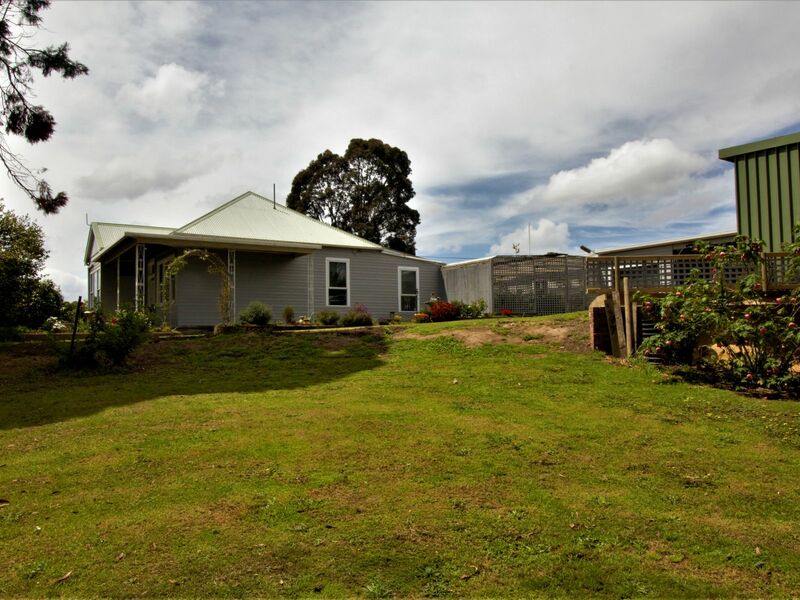 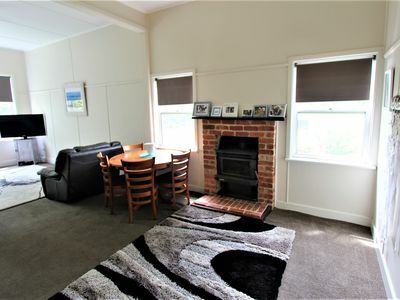 Welcome to this highly appealing 3 bedroom home with ensuite to main on 1 acre, this is a wonderful opportunity for those looking for that rural ambience and general appeal then this one is for you, presented to sell, spick and span throughout, you will feel relaxed the minute you enter through the lovely front door. 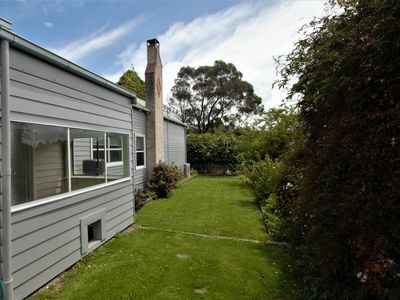 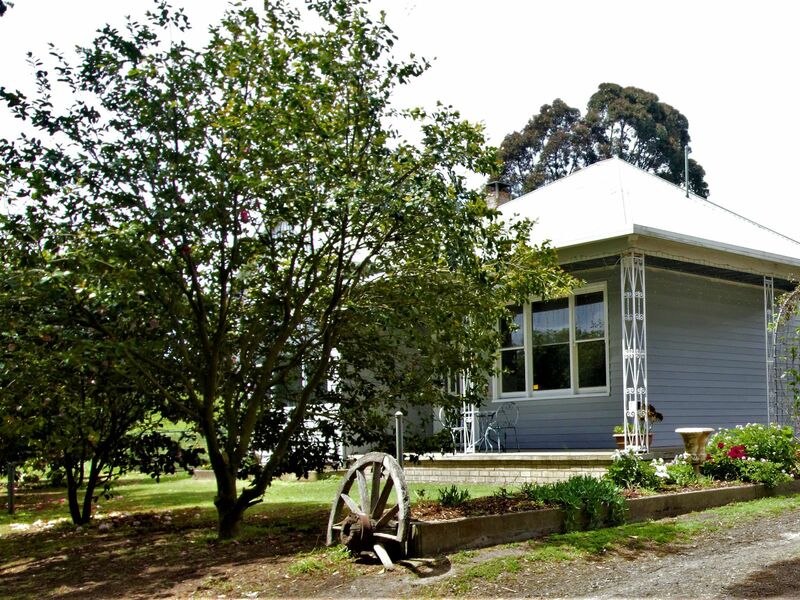 The well-cared for home is approached via a tree-lined driveway. Enjoy all the modern-day comforts with some of those special features of yesteryear (leadlight door surrounds, high ceilings, cool verandas.) 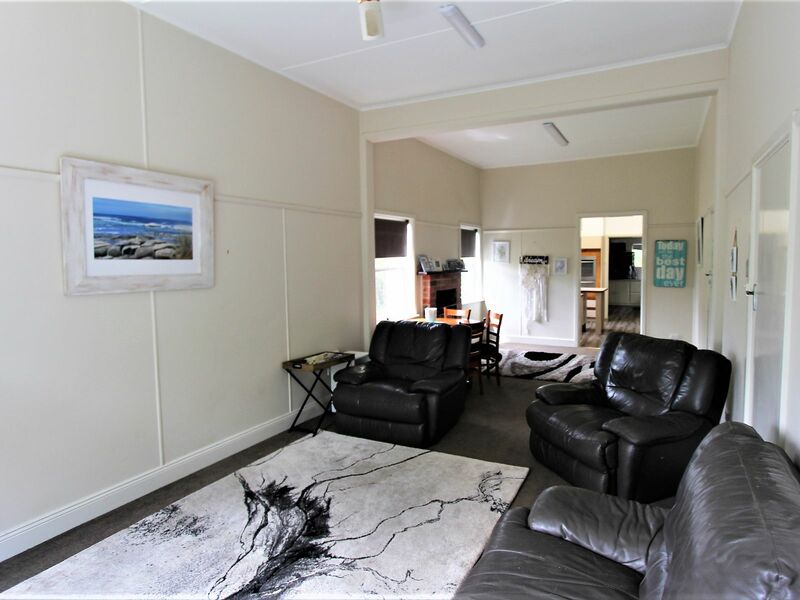 An impressive entry hall branches off to an open plan living area filled with natural light and complimented by the high ceilings, large open family zone with clear access to the kitchen is perfect for that sense of family and sharing. 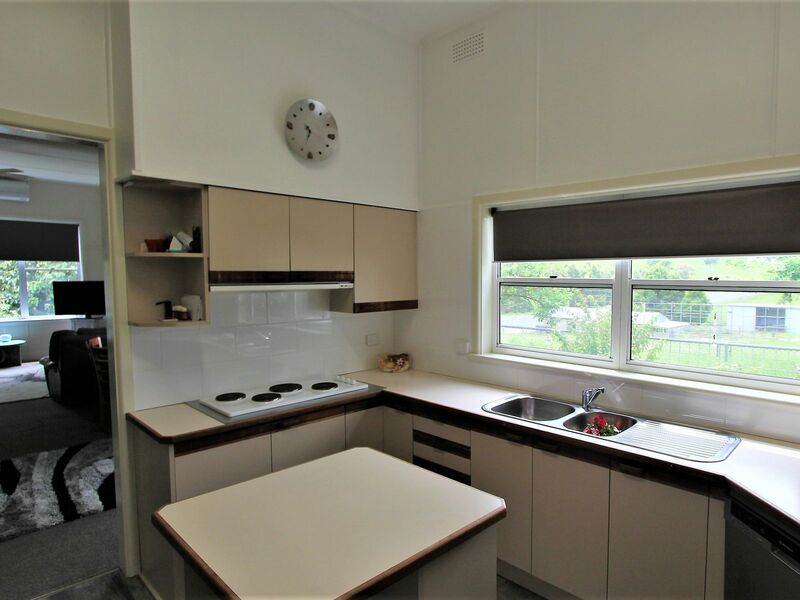 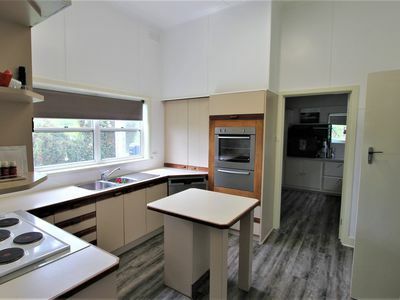 A new stainless-steel wall oven and dishwasher, St George hotplates, large pantry and an island breakfast bar grace the kitchen which also offers a multitude of cupboards, drawers and a very large utility cupboard provide heaps of storage. 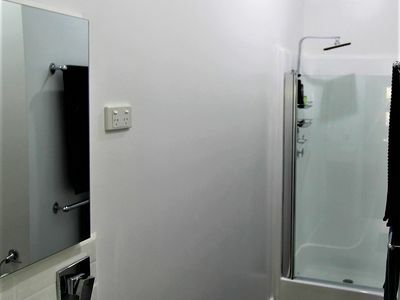 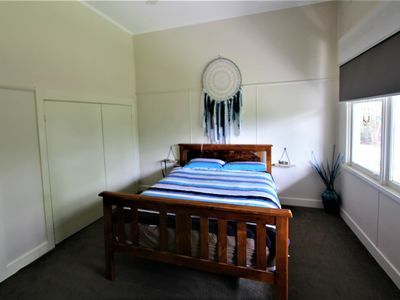 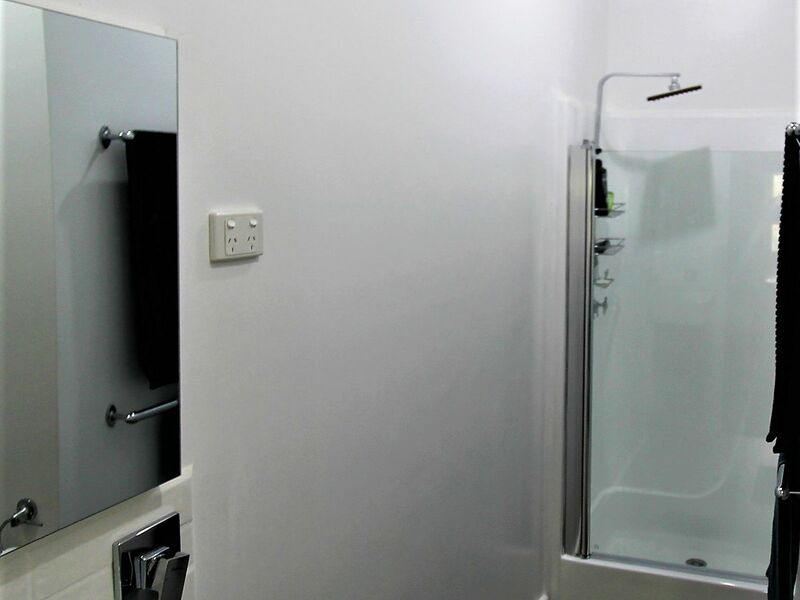 Two good size bedrooms have large built-in-robes, and the main has ensuite. 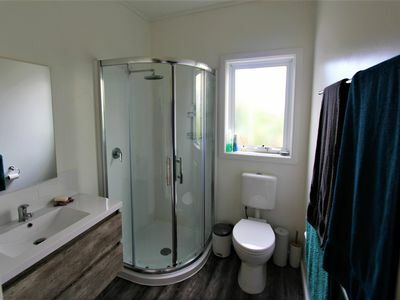 Two bathrooms service the household, plenty of thought has gone into the laundry design, with its array of storage, heaps of bench space with cupboards above and below, double sink, pop-out cupboards, large linen and utility cupboards and it also provides internal access through to the mud room at the back. For the tradesman/hobbyist looking for extensive shedding. 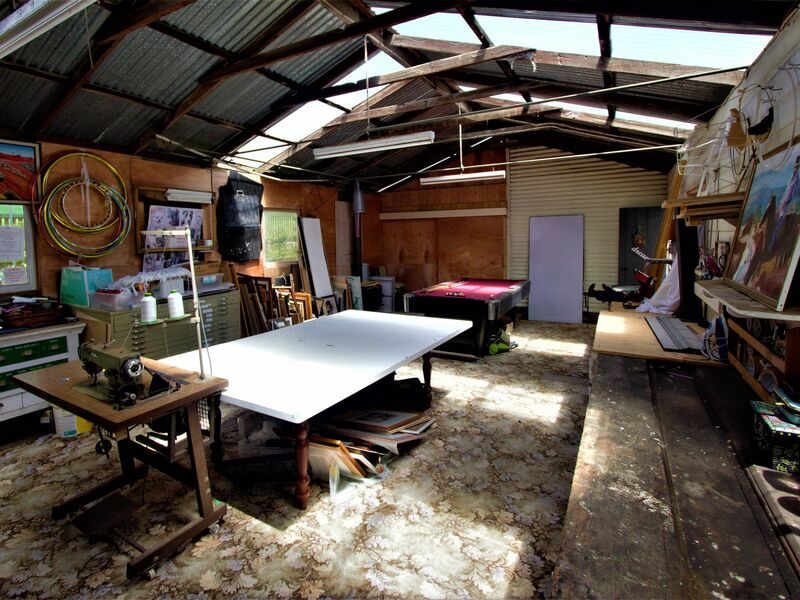 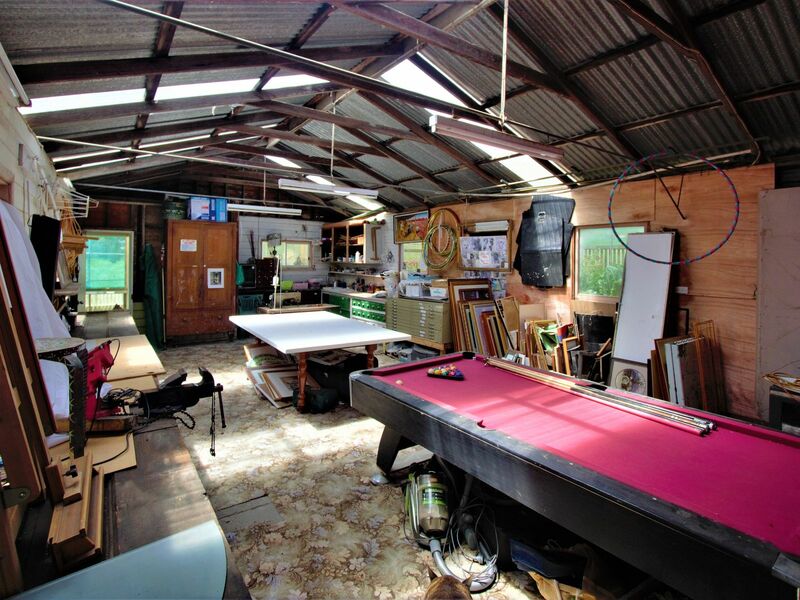 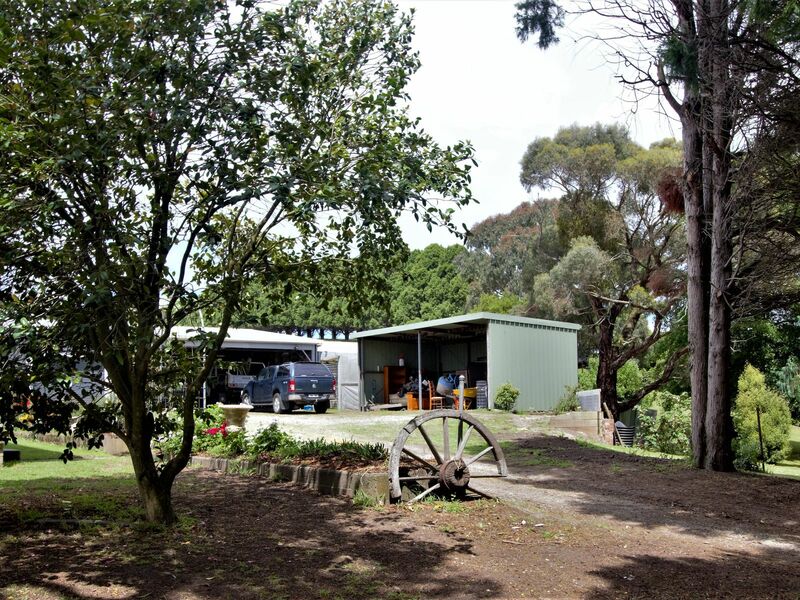 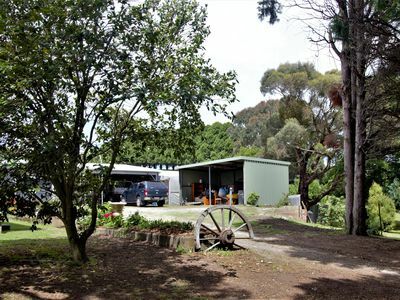 A 4-bay attached carport, a lock-up garage, an expansive 2 bay machinery shed and huge lockable workshop ('Man Cave' with toilet) provide plenty of options for parking, storage or small-business operation (STCA.) 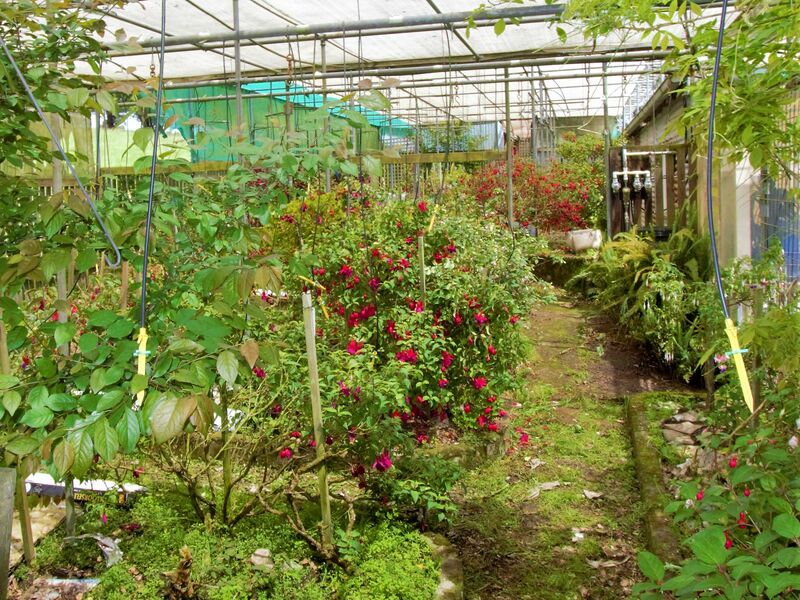 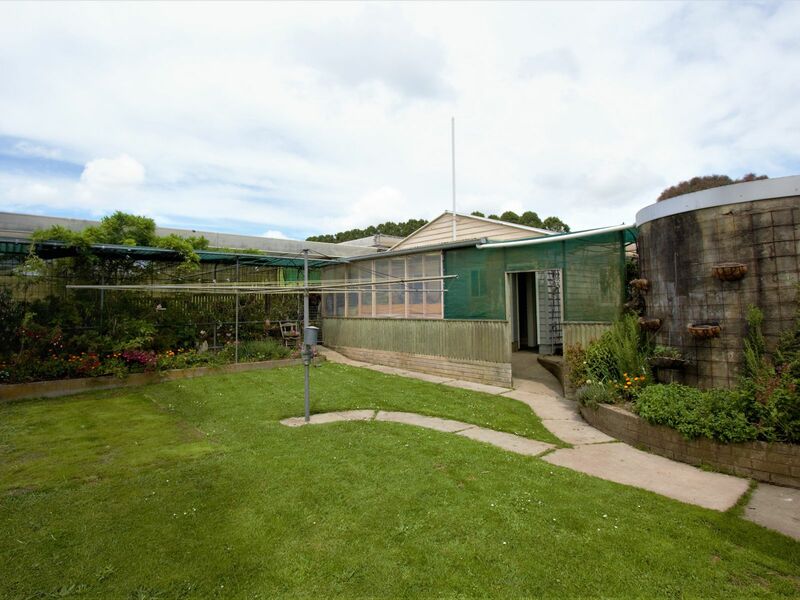 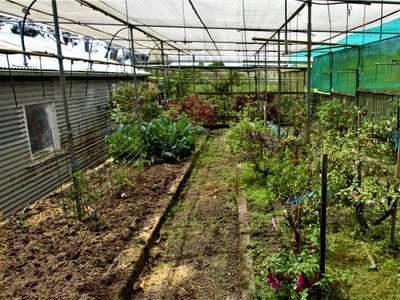 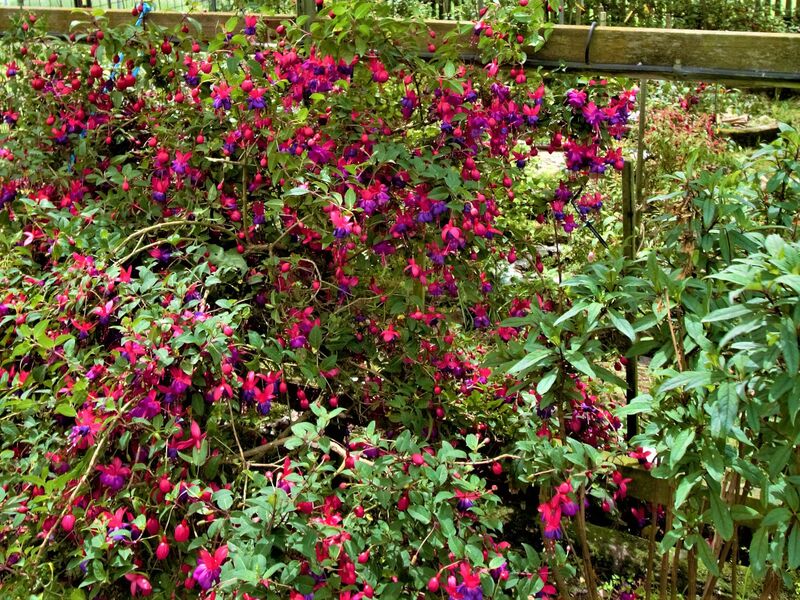 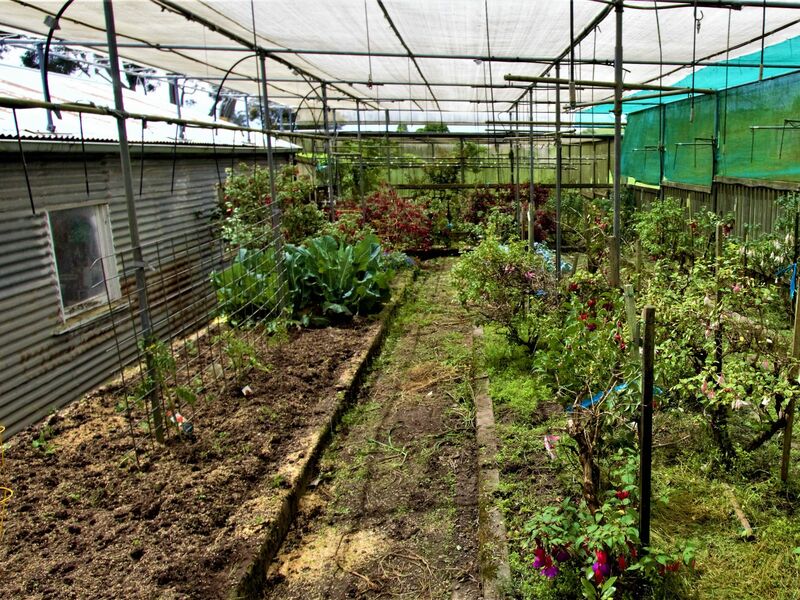 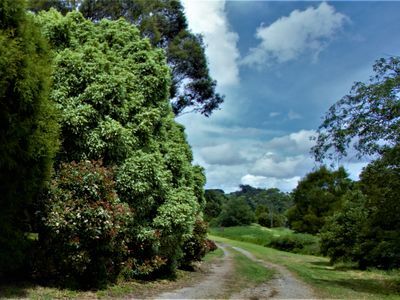 It would also suit retirees or hobby farmers looking for an opportunity for additional income on a small scale by utilising the magnificent green houses to grow vegies for markets or propagate from the 90 varieties of fuchsia plants already there with a sprinkler system installed in all the green houses. 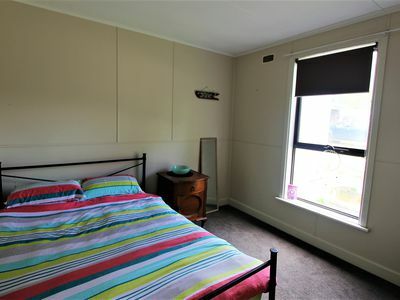 Or you can simply enjoy the delightful surrounds as is. 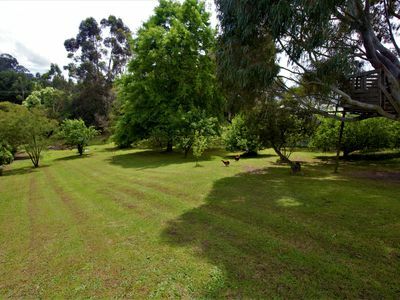 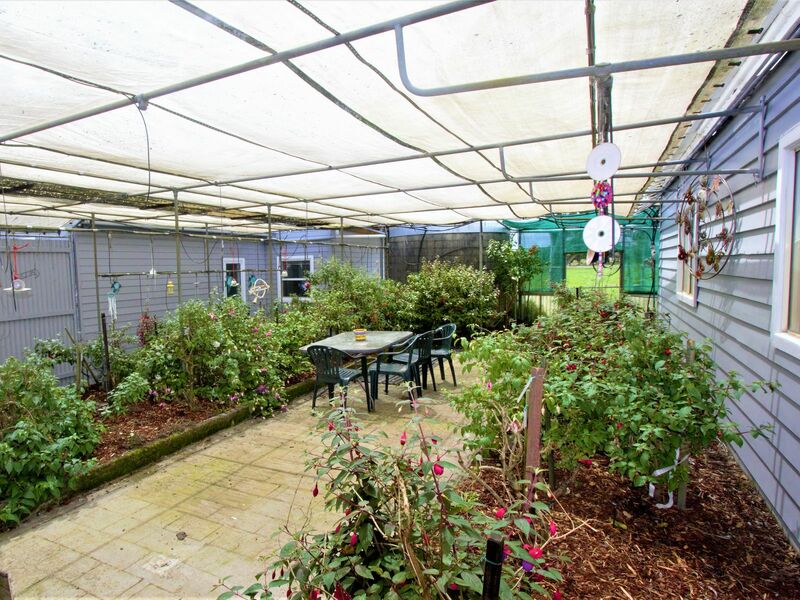 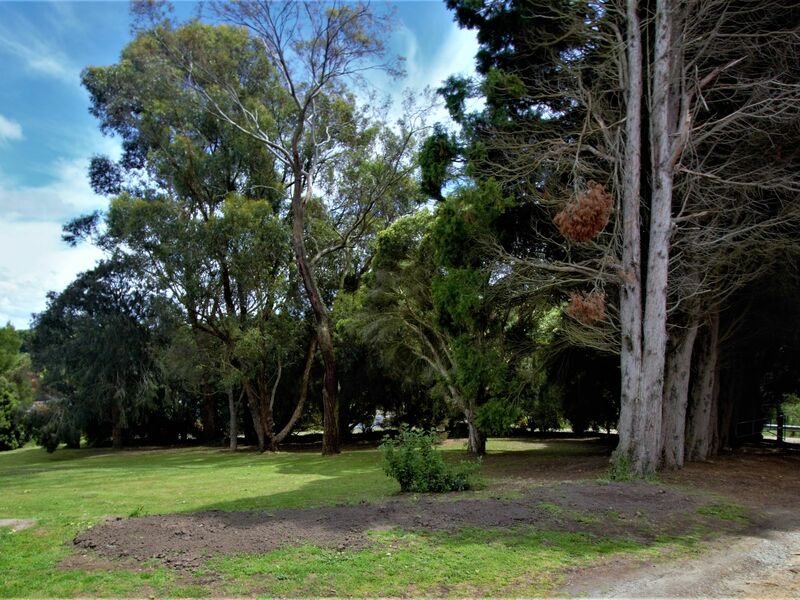 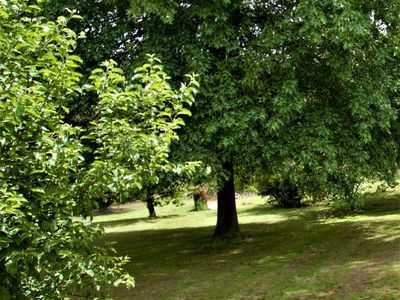 For the family looking for space and plenty of room for kids and pets to roam safely around the gardens, lawns and orchard then this 1 acre of private park-like grounds with a rural outlook is perfect! 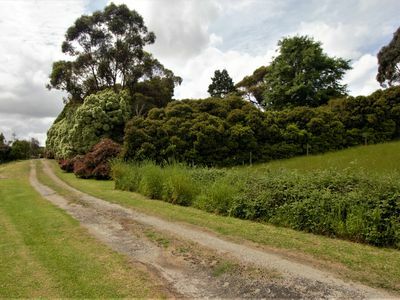 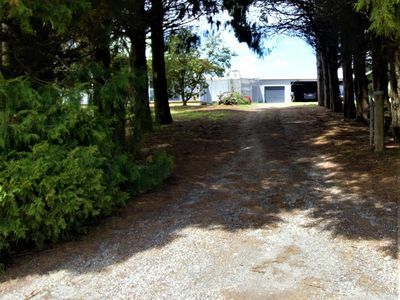 There is also the opportunity to purchase an additional 12 acres next door. With a school bus stop at the end of the driveway and being only 5minutes to Leongatha/Korumburra and 1½ hours from Melbourne you need to inspect to be impressed.